Feast on an Italian dishes prepared by chef Yohhei Sasaki at this poolside restaurant. 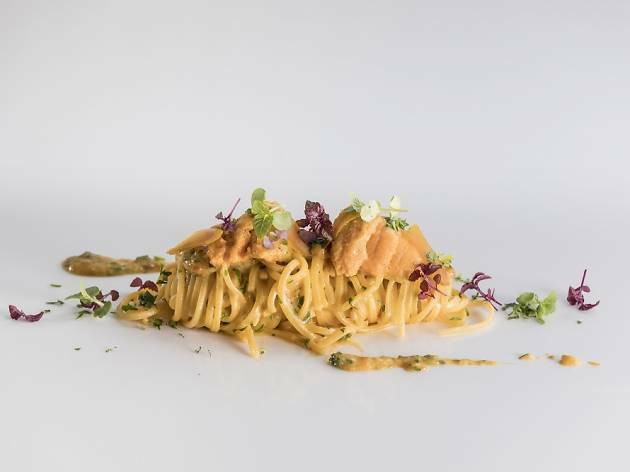 Il Cielo's new head chef has cooked in Michelin-starred restaurants around Italy and has amassed a repertoire of signature dishes such as his Hokkaido sea urchin spaghetti with Sardinia bottarga and yuzu juice. Opt for the degustation menu for a taste of what chef Sasaki has to offer. The 5-course $88 menu focuses more on Italian classics, while the $118 menu features a mix of Japanese and Italian dishes that incorporate ingredients such as sea bream and Toriyama wagyu.